The Double U Reward Points Program allows you to earn points for certain actions you take on our site. Points are awarded based on making purchases and customer actions such as submitting product reviews. • Customers with $1000* and over in lifetime purchases earn 2% points! • Customers who have spent more than $100* in the lifetime of their accounts can spend their points on the payment page of the checkout process on our website. • Points are worth $0.10* each and can be used to cover up to 50% of your purchase. • Points expire 365 days after they are earned. • Customers can earn 10^ additional rewards points for sharing the products they love to social media and 10^ points for each verified product review+ that they write. • Customers must be logged in to their accounts or purchase over the phone. • To spend your points, you must log into your account and place your order online. Unfortunately we are unable to spend your points over the phone at this time. 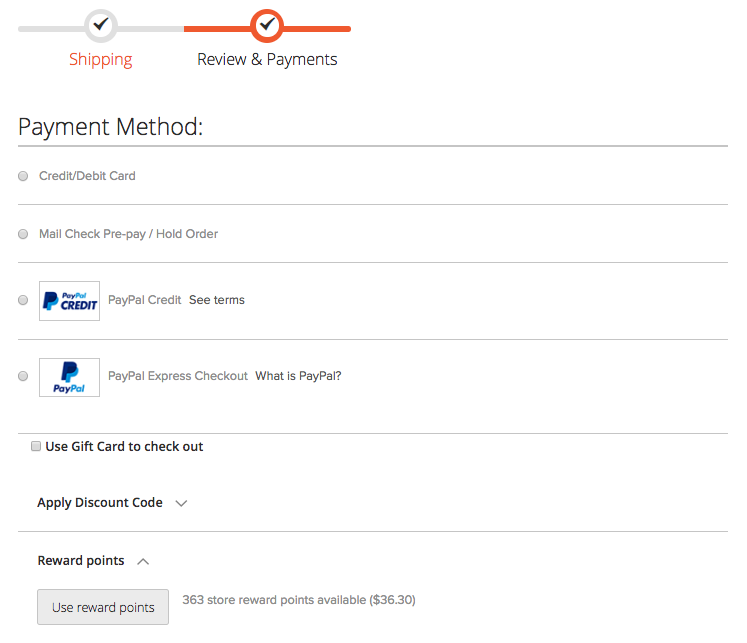 • While checking out, you are given the opportunity to apply points to your order on the Payments page of the checkout process. 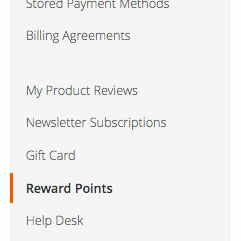 Rewards points are at the bottom of the list of available payment methods. If you do not see Rewards Points available, you may not be logged in, your points may not be available, or they may have expired. • Rewards Points must be claimed at the time of purchase, we cannot spend your rewards points on an order that has already been placed.